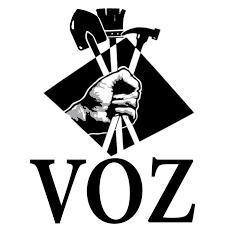 The Portland IWW is proud to endorse Voz: Workers’ Rights Education Project. Founded in 2000, Voz has been connecting day laborers to work, supporting worker-led organizing, and offering trainings. Voz is a worker-led organization that gives power to immigrant workers that may not otherwise have the means to organize and bargain for humane working conditions and fair wages. Having the ability to organize and fight for these universal goals gives immigrants the ability to work, to better empower and enrich their communities and lives. The Voz: Workers Rights Education Project is currently campaigning for their Building The Dream campaign, petitioning the city of Portland for the rights to purchase the property at 240 NE Martin Luther King JR Blvd., to provide immigrant workers and day laborers with a place to meet potential employers, discuss the conditions of their labor, while having the choice to sell their labor to whomever they believe will give them the respect that they deserve. As such, Voz requires support from community organizations to help them fight for these rights, and to show the city of Portland that the community stands with them and will help defend the exploited and under-privileged workers that move our city and society forward. The Portland Industrial Workers of the World has long worked alongside the VOZ: Workers Rights Education Project and firmly believes that day laborers – like all workers – should have secure sites from which to organize and direct their own labor.